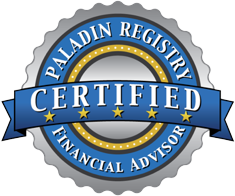 Our team of experienced professionals provides the top quality advice and services you need to help you achieve your most important financial goals. Rob is the senior professional at Compass who is also the owner of the practice. He specializes in financial, estate, retirement, tax strategies available from Chapman & Co. P.C. and planning, investment management and risk management. His advice is given as a fiduciary, providing advice that is in your best interest. Rob enjoys playing golf and tennis, hiking with his golden retriever, Vanilla, and spending time with his family. Tanis’ responsibilities focus on taking care of our #1 priority – our clients! With over 21 years of financial industry experience she has held Series 7 and 63 registrations in the past. Tanis knows what our clients need and delivers. Tanis enjoys spending time with family and friends, gardening and golfing. Stephanie brings 5 years of public accounting experience and knowledge to the Compass Wealth team and is the main point of contact for our accounting and tax clients. Stephanie enjoys working with clients and answering their questions in an ever-changing environment. Stephanie enjoys spending time with her husband and son and keeping active with pickleball and volleyball. Maggie joins the operations team at Compass with a background in investment operations management. She is the key contact for all insurance related accounts and the main contact for our payroll sector of our sister business, New York Payroll Relief Corporation. Maggie enjoys staying active and spending time with her family. Susan brings over 30 years of administrative custom service experience to Compass from various industries including the insurance and mutual funds industry, the manufacturer broker industry, and the packaging industry. Susan coordinates all of the day-to-day operations at Compass Wealth LLC. Susan enjoys spending time with family, friends and her pets. She’s an avid reader and sportswoman, and loves the outdoors. As a senior member of Compass Wealth, Sarah has been a part of our team for over 10 years. Using years of accounting and tax experience, Sarah’s background gives our investment clients additional value. Sarah enjoys spending time with family, playing soccer, piano, reading and doing puzzles. Roxie brings over 45 years of financial management experience to the Compass Wealth team, including public accounting, corporate finance and advertising. Roxie’s love of numbers is put to great use as she handles the internal finance functions at Compass Wealth. Roxie loves to read and is a needle artist focusing mainly in needlepoint. She also enjoys spending time with her family and friends.